The General Assembly team saw Austin grads getting web developer roles all over Texas, and realized expanding its offerings to Dallas was a growth opportunity for local talent and employers. General Assembly chose Dallas because of its population size and abundance of web development job opportunities — including Fortune 500 jobs. We sat down with GA Senior Regional Director Paul Gleger and Online Learning Director Adi Hanash to find out how GA's Connected Classroom model allows the school to expand more efficiently, connects students to global instructors, and fosters a wider network of people and information. 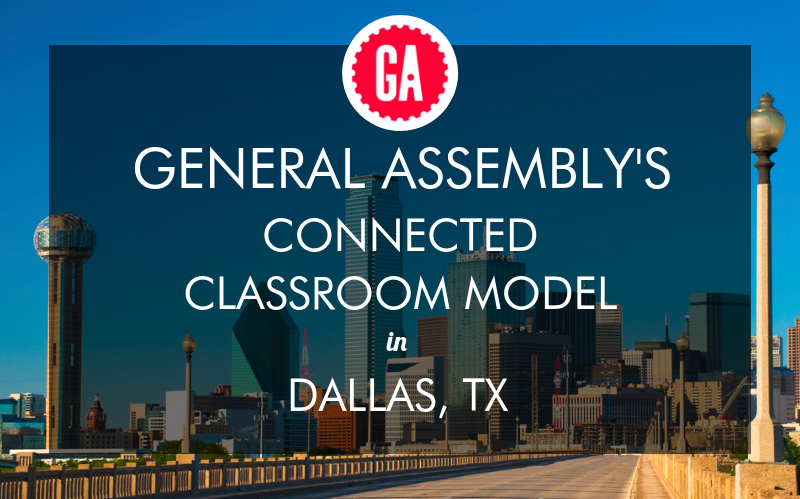 Why has General Assembly decided to open its Web Development Immersive program to Dallas students? Paul: We've been operating our campus in Austin for about three years now. We've established a really strong community there with hundreds of alumni who are getting jobs in the Austin market and surrounding areas. We decided to offer Dallas students our most popular program — our Web Development Immersive, a full-time, 12-week course, through our new Connected Classroom delivery format. Dallas is a fantastic opportunity for a few different reasons. As a metro area, it's one of the largest cities in Texas in terms of population and job market. As with all the cities where GA operates, we see a significant skills gap there. I think it's becoming very apparent that continued technical training is essential for a market like Dallas to grow and thrive. Many Fortune 500 companies are based in Dallas, and that directly ties into the existing job opportunities in the market. During all of our full-time Immersive programs, students work with our experienced career coaches to get the real-world preparation they need to translate the skills they learn in the classroom into job offers. How does General Assembly usually decide where to expand next? Paul: At this point, we're thinking through how we can expand into markets where we don't have a presence beyond our fully online programs. We’re really trying to understand, in a functional way, the marketplaces and demands in various cities, and how the training we provide can help bolster the local workforce. Tell us about the new Connected Classrooms delivery format. Paul: Our new Connected Classroom format is a groundbreaking model that allows our students to benefit from the best of online and in-person learning. Our students work with global instructors online while getting support from local experts to ensure each student gets personalized attention to stay on track and succeed beyond the classroom. We link our Austin and Dallas classrooms as a single community of learners, which fosters a powerful network for future collaborations. We can start operations much faster, while ensuring a really high-quality instructional experience. Adi: Instead of having to find and vet new instructors and get them up to speed on teaching our curriculum that thousands of students have gone through already, we can get our most experienced instructors from around the U.S. in front of anyone, anywhere. Through this blended format, our Dallas and Austin students will learn from a world-class lead instructor, collaborate with classmates across geographies, and have in-class support. This is a format we built and scaled over the last year, and we’re excited to expand it further. I know there are already a few coding bootcamps in Dallas. I'm interested in how you think the GA offering will stand out among those? Paul: Then there’s the scale of General Assembly — the hands-on support we provide to students with career-coaching, and our extensive relationships with employers in Texas and beyond. We want the skills we teach to translate to what our graduates will be expected to do once in the workforce. As a result, we develop and revise our curriculum based on feedback we get from our employer partners. While students in Dallas will meet and hear from local employers, they’ll also have access to GA’s global hiring community through GA Profiles, an online network for graduates and hiring managers. Leading up to our flagship hiring events, students progress through our in-class and post-class outcomes curriculum, guided by GA’s trained career coaches. Coaches ensure everyone is fully prepared and taking a strategic approach to their job search. Adi: Another thing we bring is we’ve done this for so long. We’ve taught thousands of Immersive students, and helped graduates successfully learn the material and then transition into exciting careers using their new skills. How will the classroom be set up? What kind of facilities will there be? Adi: Our classrooms are equipped with a range of technologies that make learning and collaboration easy, no matter where you’re located. You’ll be working with local classmates, classmates in other locations, and our global instructor. Local support staff will be in the room, circulating as needed. Then, we've installed two giant monitors in the front of the class, so students can see their instructor, who is teaching online, as well as fellow classmates in other locations. If you're in Dallas you can see your Austin classmates, and vice versa. One monitor or projector is dedicated to the instructor’s presentation. On this screen, you’ll be able to follow along with your global instructor as they share content, code along with you, or give whiteboard explanations. The rooms are also outfitted with microphones. The online instructors have video feeds of both classrooms, and everyone can hear one another as needed. So at any point, if a student has a question, the instructor teaching online can call on you — and everyone in Dallas, Austin, and the remote instructor will be able to hear you. It's been really exciting to see how well this has developed and the positive feedback we’re getting from students around the collaboration and the larger network the Connected Classrooms provide. How will the experience work from a student point of view? Adi: In our Connected Classroom environment, our students can choose to physically attend class every day with their classmates and local support. Throughout the day, they learn through both online lessons from their global instructor and get questions answered in person by their local support. Throughout the course, students collaborate with classmates locally and from other locations as they work through real-life coding exercises and projects. It’s a perfect blend of great online instruction, personalized support, and a mixture of all of our available online resources. How will students in the different locations interact? Adi: We facilitate discussions among different people in different locations. A student could ask a question in one city that someone in another city will actually have to answer. Our goal is to create an environment in which students have visibility into all of the classrooms they're working with at the same time. Students can see both their instructors and classmates in other locations. Where else have you already tried this teaching format and how did it go? Adi: We ran the pilot with a classroom in Santa Monica and a classroom in San Francisco. While we expected the cross-city collaboration aspect to be hugely important, one of the things we didn't realize was just how much students would relish it. We use Slack to manage communications between students and instructors, and we saw that students in different cities started using Slack to connect and collaborate on homework and projects. We actually had students in Santa Monica drive up to San Francisco on their own accord, get an Airbnb, attend from San Francisco for the week, and just hang out with their classmates there. Seeing them make those connections reinforced the importance of expanding our students' communities and networks by innovating on how we define and develop our classroom models. 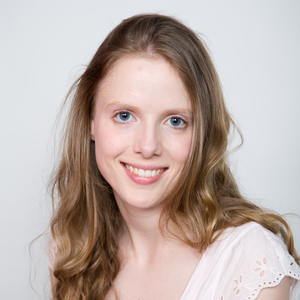 What's been really exciting about the format in particular is not just the efficacy with which students learn the material and evolve through the course, but how it also gives students access to a much larger network of peers and collaborators. It's not just, "Oh, I'm working with someone online, then I'm working with someone in person." Our students graduate with a professional network beyond their own city. The format also emulates the best practices when working and developing professional relationships with colleagues in remote environments. Will you expand this model further in the future? Adi: Absolutely. We're interested in being able to reach new markets, spaces, and cities, and give them access to world-class instructors and our vetted curriculum. We want to be able to provide similar educational options to someone in Dallas as we can to someone in Topeka, Kansas. Whether it's this blend of online and in person, or if it’s completely online, we're trying to find an opportunity to open up what we can for anyone, regardless of where they are. What about your existing campuses? Are you thinking about transitioning those to follow this Connected Classroom format as well? Adi: We're interested in doing that. I think the feedback around the Connected Classroom program has been really positive. The short answer is yes, we're interested in expanding it to our larger campuses to find a way to build a more robust community of learners online. Paul: In terms of our existing campuses, those operations are going to continue, with the added capability of this new delivery modality. 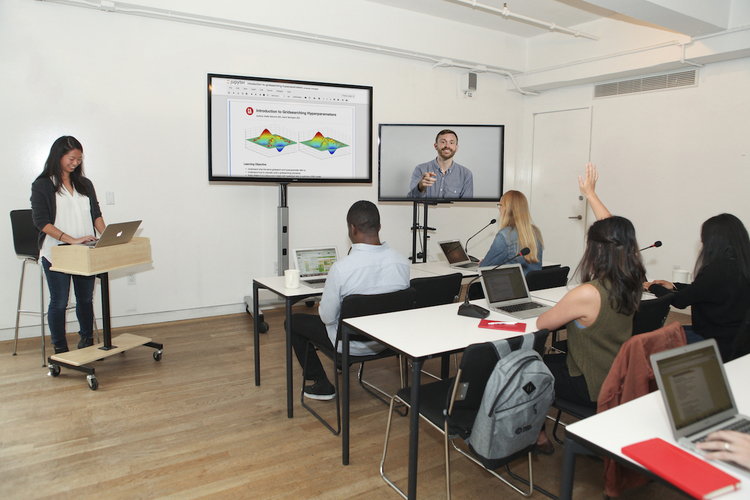 We are already running our Data Science Immersive program using this Connected Classroom model in all U.S. markets, which is super exciting. How many students will you have in the first WDI cohort in Dallas? Paul: We anticipate the total class, including both cities, will be close to our average class size for the Web Development Immersive program, which is about 20 students. How are you expanding your presence within the Dallas hiring community? Paul: We're currently building a workforce council for Dallas with the top thought leaders in the city, across various sectors, who can help shape the pathways students are going to be taking after they graduate, and also come on board as some of our flagship hiring partners in the market. You mentioned that some of your Austin graduates have already found jobs in the Dallas area. Could you give me some examples? Paul: Austin graduates have already found great jobs at Dallas organizations including Razorfish, Forte Payment Systems, Nielsen, and Apex Systems. We're looking forward to rapidly expanding and deepening relationships with many more Dallas employers. When are you expecting to open your program to Dallas students? Can students apply yet? Paul: Our program is going to launch on December 4. We’ll organize info sessions and introductory classes leading up to the launch, with the goal of giving visibility into the field of web development and providing more details about the upcoming course. Applications are open now. We already have students in Dallas who are going through the interview process. What’s the on-site experience going to be like for students? Paul: Students in Dallas can take this program at the Dallas Entrepreneurship Center, whose team is going to be a key partner for us. One of the advantages of launching with a partner like Dallas Entrepreneurship Center is that our students will join a strong, established community, and have access to events and learning opportunities happening there. We have similar partnerships in other cities where our partners provide students access to a thriving tech community. That’s an important value-add. Find out more and read General Assembly reviews on Course Report. Check out the General Assembly website.